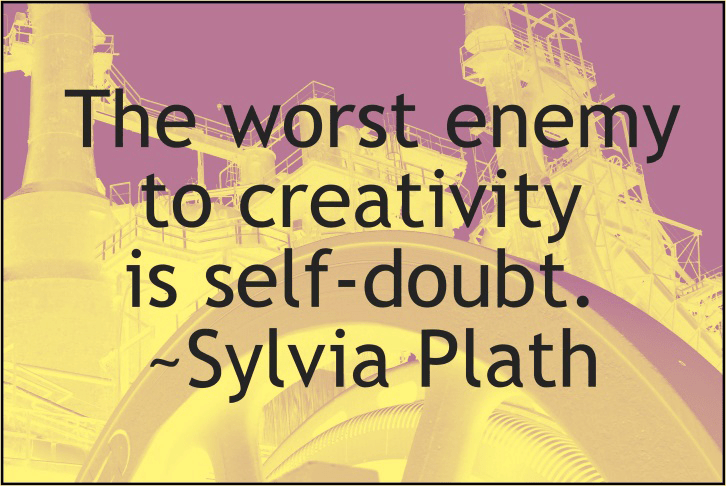 Whether you realize it or not, self-doubt may be your biggest enemy. When you let fear and the weight of self-doubt impact your professional, personal and financial choices, your self-worth suffers just as much as your mental health. Stop self-doubt in its tracks so you can continue to win at life with these tips. Looking back at your successes and your missed opportunities can help you to eliminate self-doubt in the present. Think about how you let fear and self-doubt stop you from pursuing your dreams. Evaluate your regrets and plot out a plan to take risks that can only improve your self-worth. Although your first instinct is often caution, throw caution to the wind when embarking on new ventures. Stop self-doubt in its tracks by saying “no” when you start to question your abilities or talents. Boost your confidence by stopping those voices of doubt that creep in when you find yourself succeeding. There is a reason people are successful and it’s because they believe in themselves. Surround yourself with those who don’t let self-doubt stop them from taking risks and pursuing success. Immerse yourself in a culture that is driven and motivated or enlist a mentor to help you battle self-doubt. As a result, you will find yourself more optimistic when influenced by the enthusiasm and positive spirits of successful people. It is no secret that setbacks are a normal part of life. Instead of letting a setback influence you to the point that self-doubt limits your success, view each stumble in the road as temporary. Yes, you may be disappointed when a setback occurs, but know it is not permanent and not a testament to your character. Use these temporary setbacks as a way to gauge your weaknesses and develop strategies to turn your weaknesses into strengths. Better yet, view your weaknesses as strengths-in-training so you can set clear goals to help you overcome setbacks in a positive manner. If you are feeling doubtful about your skill set, take action. Refine and develop your skills by taking a class at a local college or attending a community-sponsored workshop. When you take the initiative to learn, your confidence soars. Know that you are on the road to winning when you boost your skill set and make yourself invaluable to those around you. Too many times, people find themselves degrading their own personal character when experiencing a setback. Don’t resort to putting yourself down. Instead, find ways to offer yourself constructive criticism. For example, if you are not earning the amount of money you desire, instead of beating yourself up about missed opportunities, use this energy to critique your strategies. How can you find better leads for job opportunities? What are some strategies that will help you connect with successful people? Focus more on ways to move forward versus stalling your success and feeding your self-doubt. Self-doubt often creeps into your mind when you compare your status with the status of others. Focus solely on yourself when setting goals. Each individual possesses unique skills and character traits. Oftentimes, a comparison is not even possible. Avoid feelings of inadequacy by comparing your past and present accomplishments against each other versus the accomplishments of your colleagues, friends or family members. Self-doubt doesn’t have to control you. Make confidence a key part of your personality and your professional brand by surrounding yourself with successful and positive people, developing your skills, and most of all, believing in yourself. Be a fighter. Contact me for winning strategies to combat self-doubt once and for all.